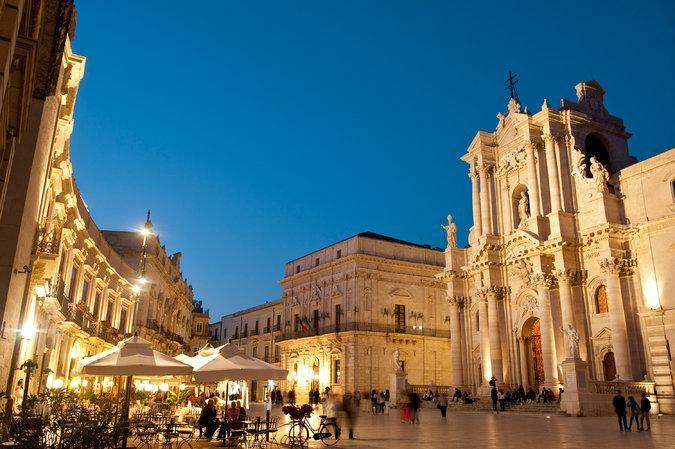 Ortigia is a little and precious island located in the southeast coast of Sicily, in which stands the oldest part of Siracusa. This island is connected to the mainland by three bridges and it stretches into the Ionion Sea for a distance of more than 1.5km (about a mile). Its wide port is located into the west, with the high sea to the east and a smaller port to the northeast. In the south of this beautiful island there is a narrow peninsula (200m), on which stands the Maniace Castle, built by Frederick II of Swabia. The famous and picturesque Aretusa source flows on the island’s southeast coast.